A summit to face the crises of Eastern Kentucky, called for Monday, Dec. 9, by the area's Republican congressman and the state's Democratic governor, has attracted more than 1,500 registrants and will be telecast by the state's television network and the region's TV station. The Lexington Herald-Leader has a scene-setter story, here. UPDATE, Dec. 8: the paper's opinion section today and tomorrow is devoted to the issue, and columnist Tom Eblen writes about it. Bill Goodman of Kentucky Educational Television writes, "We’ll provide live coverage of the summit starting at 9 a.m. on KETKY and online at KET.org/live. Along the way, I’ll have interviews with various participants to get their perspectives on the day’s events. If you can’t watch our live coverage, you can follow this blog and my Twitter account for an ongoing synopsis of the presentations." Goodman also notes the Facebook page "that Gov. Steve Beshear and U.S. Rep. Harold "Hal" Rogers have established for the "Shaping Our Appalachian Region" project, and a wrap-up show with Beshear and Rogers, to be telecast on KET's main channel at 8 p.m. ET. WYMT-TV in Hazard, a CBS affiliate, says it will broadcast the summit live from 9 a.m. to noon and 1 to 5 p.m., with continuous coverage on its website. The summit is being held in Pikeville, seat of Kentucky's easternmost county, which borders Virginia and West Virginia. The impetus for the effort is the recent loss of 6,000 jobs in Eastern Kentucky's coal industry, which has dominated the region for a century but is suffering from depletion of easily mined coal, competition with natural gas, and new environmental regulations. The effort is being helped by the Appalachian Regional Commission and the Rural Development branch of the U.S. Department of Agriculture, and Rural Policy Research Institute CEO Charles Fluharty is the facilitator. The effort is aimed at finding long-term solutions to the region's economic problems, but in an editorial this week, The Mountain Eagle of Whitesburg called for a public-works jobs program like the Civilian Conservation Corps that President Franklin D. Roosevelt created soon after he took office during the Great Depression. The weekly suggested that the program and other efforts could be funded with $2.5 billion in the federal fund to reclaim abandoned mines, which is funded by a national severance tax on coal. The Farm Bill continues to hit snags, as soybean and corn interest groups push congressional negotiators for measures favorable to them. That has the negotiators to test new options "for paying crop subsidies on some variation of a farm’s historic base acres — rather than what’s actually being planted each year," David Rogers reports for Politico. "The reversal dashes early hopes — shared by the House and Senate — to adopt a more transparent system of paying on planted acres. Indeed, a major criticism of the current direct cash payments to farmers is that the money goes out regardless of what is being planted, if anything at all." "The rough goal now is to pay on 85 percent of base acres for both the new revenue and price loss programs in the proposed commodity title," Rogers writes. "But much depends on what scores come back from the Congressional Budget Office Monday. And at this stage it seems almost certain that the House will not vote before it goes home next Friday, Dec. 13." That has spurred talk of a short-term extension of current farm law to some date in January. House Speaker John Boehner told reporters the House is ready to give farm-bill negotiators a short-term extension, and House Agriculture Committee Chairman Frank Lucas indicated on Farm Journal's "AgriTalk" this week that negotiations may run into next month, Chris Clayton reports for DTN/The Progressive Farmer. Rogers reports, "Midwest Republicans in the Senate, allied with corn and beans, were most adamant that base acres be used for a new target price program advocated by the House. But as corn prices have fallen over the summer, the Senate’s own revenue protection option — paid on planted acres —became vulnerable to the same complaint. Last week the National Corn Growers Association and American Soybean Association, which had supported planted acres themselves, warned they would oppose the bill unless all payments were decoupled from current production." What this means is that "special accommodations will have to be made for millions of 'orphaned' cotton base acres, no longer qualifying for the commodity programs," Rogers writes. "At the same time, negotiators are testing what it will cost if farmers were to be allowed to reallocate plantings within their base. Such a reallocation seems almost certain for farms with a cotton base [that] have been planting other crops in recent years. But if done on a national scale, the costs could be high given the expansion of corn." Nine of the nation's 22 best rural hospitals are in Maine and four are in Tennessee, according to the Leapfrog Group's 2013 list of top hospitals, chosen from 1,324 hospitals that answered a survey. The Leapfrog news release says those on the list earned an 'A' grade for having "lower infection rates, higher survival rates for high-risk procedures, decreased length of stay, and fewer readmissions." The nine Maine hospitals are Blue Hill Memorial, Calais Regional, Charles A. Dean Memorial, Down East Community, Houlton, Inland, LincolnHealth (Miles Campus), Sebasticook Valley Health and Stephens Memorial. The four in Tennessee are Bolivar General, Camden General, Gibson General Hospital and Humboldt General. Other rural hospitals on the list are East Morgan County Hospital (Colo.); Florida Hospital Wauchula (Fla.); Mariners Hospital (Fla.); Grinnell Regional Medical Center (Iowa); OSF Saint James - John W. Albrecht Medical Center (Ill.); Wabash General Hospital (Ill.); Fairview Hospital (Mass. ); OSF St. Francis Hospital & Medical Group (Mich.) and Spectrum Health Kelsey Hospital (Mich.). To see how participating hospitals scored, click here. There are 400,540 foster children in the U.S., according to the Congressional Coalition on Adoption Institute. Finding families to adopt these children, or merely giving them a safe home where they feel accepted, can be difficult, especially in rural areas like Alaska, where 14.8 percent of the population is Native American. Of the 2,100 foster Alaskan youth placed in foster homes, 1,276 are Alaska Natives, and only 413, or 32 percent, have been placed with Native families, Carey Restino reports for The Arctic Sounder. Despite the Indian Child Welfare Act of 1978, "which requires states to do everything in their power to keep Native American children with their families, or at the very least with Native American families that the child’s tribe designates," the problem still exists in Alaska, and other states, Lauren Kawana reports for Oakland North. In 2012 in California, 439 Native American children entered foster care, a rate of 1.2 percent. Native American children "account for nearly 1 of every 10 foster children in Nebraska," up from 1 out of every 14 last year, Martha Stoddard reports for the Omaha World-Herald. Similar problems have occurred in every state with high Native American populations, such as Utah, New Mexico, and South Dakota. What makes Alaska different are its many small, remote settlements, which makes it hard to attract Natives to become involved in being foster parents, Restino writes. Training and "support is often a plane ride away for rural community foster parents, and the system can be daunting to navigate without an advocate nearby to talk to." Plus, small-town life isn't ideal for fostering. "While in a larger community, foster parents — relative or not — may have some anonymity, in a small town, they are likely to bump into the children’s parents in the grocery store or elsewhere around town." According to the commission's report, the firefighters died because they weren't removed from harm's way immediately—consistent with policies. "The report says 61 more firefighters in nearby locations to unacceptable and unnecessary risks of 'smoke inhalation, burns and death,'" Dennis Wagner, Yvonne Wingett Sanchez and Sean Holstege report for The Arizona Republic. 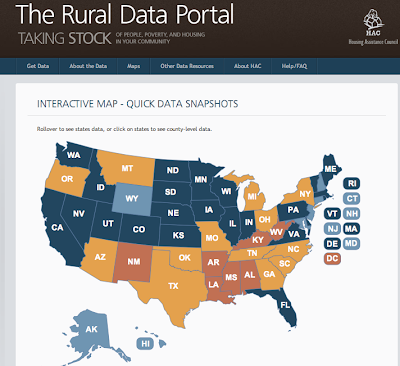 The Rural Data Portal is a handy website that provides national, state and county information on a wide range of topics, providing "essential information on the social, economic and housing characteristics of communities in the United States," according to the site. Indicators allow users to click one of five subject areas—demographics, social, economic, housing and housing finance—and view results by state and county. Each indicator has a series of subsets, allowing users to get more detailed information. Most of the information comes from the Housing Assistance Council. 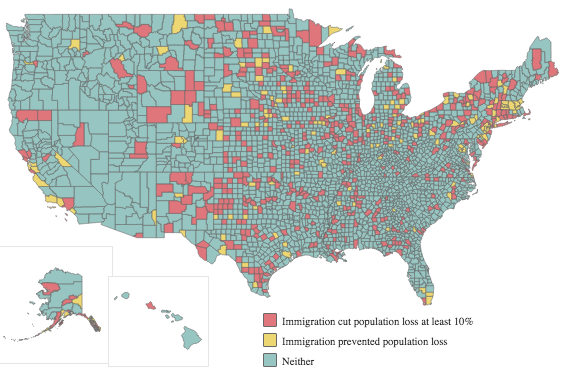 Demographics include reports on geographic residence, population, gender, age, race/ethnicity, Hispanic or Latino origin, households and household relationships. The economic tool provides data on employment, occupation, class or worker, industry, household income, earnings and individual and family poverty status. The social indicator has data on education attainment, marital status, grandparents as caregivers and nativity and place of birth. There is also an interactive map that shows poverty rates in each state and county. Eula Hall has been called an angel, dynamite, a force to be reckoned with, and a living legend. She has dedicated her life to combating poverty in Appalachia and providing health care to those in need. Some say that she has done more for health care in Eastern Kentucky than any other single person. Even at age 86, Hall continues to fight against poverty, providing health care to those who need it. Hall’s story will be told in a new biography, Mud Creek Medicine: The Life of Eula Hall and the Fight for Appalachia, written by Pikeville native Kiran Bhatraju. Hall grew up in Pike County and moved to the Mud Creek community in adjoining Floyd County at the age of 16. She witnessed the devastating impact of poverty, including lack of health care, and became a staple in the Mud Creek community, someone to whom people would turn when they were sick or hungry. In 1973, at age 46, Hall opened the doors to The Mud Creek Clinic in Grethel, Ky., a rural community in Floyd County, with a $1,400 donation and the help of two local doctors. The clinic rented space at first, but Hall quickly moved her family out of a nice home in Mud Creek so the home could be converted into a clinic to provide health care regardless of patients' ability to pay. For 40 years, Hall’s clinic has weathered hard times, reports Jonathan Meador of WKMS News. But, with resiliency and the help of the community, the clinic now operates in five locations and continues its mission: To provide Appalachia’s poorest residents with health care and dental services they can afford. Hall says things have improved in Appalachia in the last 40 years, but she is still concerned that growing income inequality in America is leaving too many of her patients behind, reports Meador. Appalachians still face numerous economic and health disparities that are deeply rooted in poverty. "We still have people who don't have enough to meet their needs," Hall told Meador. "These are good people; these are honest people, hard workin' people, when they were able. But you know, they're disadvantaged now, and they just don't have the means to meet their needs and stuff, and somebody has to be concerned; somebody has to look out for 'em." Bhatraju says that proceeds of his book will go toward funding the clinic. Click here to purchase a copy of the book. Education Week compiled an extensive report—including stories, videos, pictures and graphics—discussing the educational and economic situation in Indian Country and providing a glimpse of the struggles some of these families encounter. 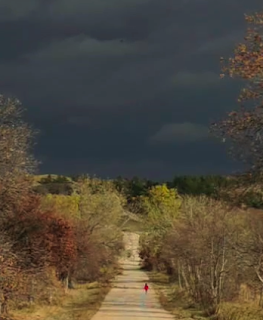 Nearly 40,000 members of the Oglala Lakota Sioux nation live on the 2.8 million-acre Pine Ridge Indian Reservation. "Families that have been poor since the U.S. government forced tribes onto reservations more than 120 years ago see few prospects for breaking out of seven or eight generations of profound poverty," Leslie Maxwell reports. The area has also been plagued by high rates of alcoholism and suicide, particularly in young people. "The state of American Indian education is a disaster," said David Beaulieu, a professor of education policy and community studies at the University of Wisconsin-Milwaukee and a member of the Minnesota Chippewa Tribe-White Earth. American Indian graduation rates have been getting steadily worse since 2008, according to analyses by the research center of Editorial Projects in Education, which publishes Education Week. "It's been almost 12 years since 'No Child Left Behind' was implemented, and we essentially have no appreciable results to show for it," said Beaulieu, the director of the Office of Indian Education in the U.S. Department of Education from 1997 to 2001. "Four of the five poorest counties in the United States fall either wholly or partly within American Indian reservations, according to the 2010 U.S. Census," Maxwell reports. The unemployment rate is around 80 percent, and Shannon County has a per-capita of less than $8,000 per year and relies on federal funding. "We have a lot of young people on the reservation and not nearly enough jobs," said Christopher G. Bordeaux, the executive director of the Oceti Sakowin Education Consortium, a group of tribal schools in the Pine Ridge and other South Dakota reservations. "So that presents challenges to us as educators when we are trying to convince our young people to stay in school, to do well, in school, to graduate, to go on to college." Legend Tell Tobacco, an energetic 10-year-old in 4th grade, lives on the Pine Ridge reservation. His mother, a college graduate, said, "The two most important things I want for Legend are for him to get his education and for him not to drink. But I don't know if I can completely protect him from ending up on a path that so many other youth on this reservation take." She said drinking has been a problem for many of the men in the family. Legend attends Loneman School, which is totally dependent upon federal funding. "In 2011-12, the school struggled to nudge a little more than 25 percent of its students to proficient reading levels as measured by the South Dakota state assessments," Maxwell reports. The new principal, Charles Cuny Jr., is trying to improve the situation. "What I see children dealing with here . . . [are] the same questions of identity, cultural isolation and poverty. What I really want for our students is for them to feel positive about being Native American. I want them to see that as their biggest strength from which they can build on." The Morongo Band of Mission Indians in California is spending its casino-generated money on a new school to battle the years of low achievement. The Morongo School opened in 2010, and it has 140 students from preschool to 9th grade. The school employed the Common Core State Standards, and the classrooms even include technology such as iPads and Apple TVs. The school works mostly free from government requirements. "We didn't want any government money," said Morongo tribal council chairman Robert Martin. "We didn't want the curriculum controlled by anyone else, and we know we are fortunate to be in that position." Check out the site to read the stories and learn the facts in detail. A study by a Wake Forest University researcher with ties to conservation groups found that coal ash pollution caused by a recently closed coal-fired Duke Energy plant is responsible for the deaths of 900,000 bluegill every year in Sutton Lake, near Wilmington, N.C., John Downey reports for the Charlotte Business Journal. The study's author, Dennis Lemly, said selenium poisoning is responsible for reducing the lake's bluegill and largemouth-bass population by 50 percent. Lemly "put the value of the fish killed at between $4.5 million and $7 million per year. And he said selenium leaching from the ponds is leaving thousands more fish deformed." Lemly and the conservation groups say that despite the change to natural gas, "the threat to the lake will continue," Downey writes. "They contend the only solution is to remove the coal ash from the open ponds and dispose of it in a lined landfill to prevent selenium and other pollutants from leaching into the Cape Fear River and into the lake. Lemly says he was unable to directly study the effects of the selenium on bass, carp and catfish because he could not find sufficient numbers of young fish of those types to perform a valid study. But he says the significant impact on bluegill—causing serious deformities that are severe enough to cause more than 30 percent of the bluegill population to die annually—indicates other species are affected as well." McMullen, speaking Wednesday at the Human Service Coalition of Oregon's annual meeting, said "Rural Oregon is aging incredibly fast, much more so than the rest of the state, who are able to continue to attract these young, working-age households. Once you start losing the work force, it’s hard to talk firms into setting up shop in your rural area. With no jobs, you're not going to get any young migrant families. With no workers, you get no jobs, and this becomes a very negative cycle." UPDATE: "Farm bill negotiators broke new ground in an hour-long meeting Wednesday morning," and the American Farm Bureau Federation "urged rival commodity groups to 'close ranks' behind a final package this winter," David Rogers reports. "After weeks of floundering there was genuine hope that the pieces of a deal could be coming together." The inability of parties and lobbies in Congress to see eye-to-eye on key points that affect millions of Americans is delaying the Farm Bill, and threatening to kill it, David Rogers reports for Politico. "Cotton and rice recently took a shot at corn and soybeans in a letter about proposed payment limits in both bills," Rogers notes. "Corn and beans went directly after House Agriculture Committee Chairman Frank Lucas (R-Okla.) last week — threatening to kill the Farm Bill and seek a two-year extension that would run past his tenure as chairman." Instead of getting closer to agreeing on a bill, the House and Senate conference committee members seem to be getting farther apart, with tensions rising as politicians and lobbyists vent their frustrations with each other, Rogers writes. Lucas told him, "The traditional coalition has broken down." Rogers adds: "And to a surprising degree, commodity groups are instead picking sides between Lucas and Senate Agriculture Committee Chairwoman Debbie Stabenow (D-Mich.)." And it's not just politicians hashing out their differences, but lobbies, such as the National Corn Growers Association and American Soybean Association, which sent a letter to top Congressional negotiators that some took as a threat, Rogers reports. "By suggesting a full two-year extension of current farm programs, NCGA and ASA were seen as running out the clock on Lucas’s chairmanship, which is slated to end with this Congress a year from now." Lucas told Rogers, "For some folks to believe they don’t have to be part of the family anymore makes it a little difficult. As chairman, I’m kind of like a parent sitting at the table. I’m trying to make sure everybody gets their fair portion as the plates go around. I’m trying to make sure the biggest kid doesn’t shove all the little kids off the bench." Rogers writes, "Farm bill infighting among rival commodity interests is nothing new. But the bad blood and distrust now are exceptional. Indeed, unlike the last two farm bills, Lucas and Stabenow have significantly less money for the commodity title. The House has already defeated one farm bill this past summer. And the talks now are focused on how to reconcile two competing visions of a new farm safety net to replace the current system of direct cash payments to producers. In this context, the continued infighting is not just bloody — it could prove self-defeating." The ranking Republican on the Senate Agriculture Committee, Thad Cochran of Mississippi, has "grown increasingly skeptical" of that approach, Agri-Pulse reports, in a story that lays out five big reasons the bill may not pass: A breakdown among the chairs and ranking members, lack of a "sweet spot" for a compromise on food-stamp cuts, dairy issues that divide Lucas and House Speaker John Boehner, finding a House majority for any compromise bill, and the possibility that President Obama would veto the bill if food-stamp cuts are too high. Agri-Pulse is subscription-only, but offers a trial here. Fish and Wildlife Service proposes larger protection area for Mexican gray wolves in Arizona, N.M. The proposal would allow wolves to roam all of Arizona and New Mexico between Interstates 10 and 40, while new releases would still be restricted to the Blue Range Recovery Area, Joanna Dodder Nellens reports for The Daily Courier in Prescott, Ariz. "This change is part of an August lawsuit settlement reached between the Fish and Wildlife Service and the Center for Biological Diversity," she reports. "The settlement also stops the Fish and Wildlife Service plan to trap Mexican gray wolves that roam into the U.S. from Mexico." "The wolves can't become self-sustaining in the Blue Range Recovery Area because only about 6,000 acres includes its historical range and wolves already inhabit about 4,500 acres there," Sherry Barrett, Mexican gray wolf recovery coordinator for the Fish and Wildlife Service, told Dodder Nellens. However, the larger roaming area would allow the introduction of more wolves. About 300 wolves are held captive in 52 facilities, Dodder Nellens reports. It's not groundbreaking news that rural areas are struggling to find young doctors willing to join practices, or set up their own practices. But Charlotte Albright of Vermont Public Radio highlights a new concern that concerns rural areas in the state, and could be one that affects rural areas across the nation. With health reform providing insurance to more people, more Americans could soon be seeking a primary-care physician. But in places like rural Vermont, there aren't enough such physicians to go around. In fact, many of the state's rural doctors no longer accept new patients, because they can't handle the extra workload, Albright reports. And with few younger doctors moving in, the average age of current doctors like Joe Hebert (above), who considers himself semi-retired, and spends part of each winter in Arizona, keeps getting older. A 2012 survey by the Vermont Area Health Education Center found that "one half of Vermont’s primary care physicians and two-thirds of internists either limited or closed their practices to new patients in 2012," Albright writes. Another survey, by the state Department of Health, "shows that in half of Vermont’s counties, about a quarter of primary care physicians are over the age of 60." Colorado residents continue to stick to their guns. In a September recall election, voters ousted two Democratic state senators who supported gun-control bills passed earlier the year, replacing those senators with pro-gun Republicans. Last week, unhappy voters didn't need a recall election to get rid of Sen. Evie Hudak, as the Democrat from suburban Denver, who also supported gun-control laws, resigned amid calls for a recall election, Kurtis Lee and Lynn Bartels report for The Denver Post. Hudak's decision means that instead of a recall election, where Republicans could have elected a pro-gun candidate, Hudak's successor will be a Democrat named by a committee, the Post reports. And that means that Democrats will continue to hold an 18-17 majority in the Senate, at least until Hudak's successor has to run for re-election in 2014. (Read more) The committee of 70 Democratic precinct leaders, will choose next week between a pair of politicians who have said they support background checks for guns, Lee reports. Anyone who has worked at a newspaper in recent years knows that lay-offs, furloughs and budget restraints are nothing out of the ordinary. Still, it's a shock to the system any time a well-regarded news organization cinches the belt straps a little tighter, with employees taking the brunt of the costs. Western Communications, which owns six community newspapers in Oregon and two in California, announced last week it will no longer provide health insurance to its 280 employees, citing rising costs for the decision, Jim Romenesko reports. He also reports that Shaw Media, which publishes about 100 print and digital publications in Illinois and Iowa, is cutting the workweek for all employees from 40 to 37.5 hours. Western, which emerged from bankruptcy protection last year, cut 10 percent of its staff in 2012, David Nogueras reports for Oregon Public Broadcasting. "Throughout the entire recession, the company managed to avoid making layoffs. Ironically, the high foreclosure rate had something to do with that. Papers like the Bulletin made a lot of money from the legal notices required by Oregon’s non-judicial foreclosure process. But in an article posted on the Bend Bulletin’s website, publisher Gordon Black says that money has suddenly all but disappeared." Dr. James Marcin, the study's lead author, told Pittman that comparing telemedicine to a phone consultation is "the difference between the doctor coming in to do an office visit with you with his or her eyes closed, versus with his or her eyes open." Of the 234 patients studied, telemedicine was used in 73 cases, with doctors administering 146 drugs, five of which turned out to be wrong for the patient's condition or were given incorrectly, Pittman writes. Phone consultation was used in 85 cases, with 18 errors among the 167 drugs administered. No consultation was used for the remaining 76 patients, with 16 errors out of 128 drugs administered. Dr. Alejandro J. Lopez-Magallon told Reuters: "The amount of information that you can gather in a telemedicine consultation is typically much richer than what you can gather from a telephone conversation. Also, the level of interaction with the remote care team widens because you're not talking with a single person on the other side - you can interact with the remote physician or physicians and nursing staff, support staff and the patient and family themselves." (Read more) To read the study click here. In the church where I was married in Connersville, Ky., a town of 100 just outside the 6,400-person town of Cynthiana at the northern edge of the Bluegrass, it's not uncommon to look at the posted weekly attendance and see it numbering in the 20s or 30s, with numbers going down in winter when roads are slick and the mostly older members are put off by weather conditions. Sadly, numbers are also dropping because many longstanding members have passed away and few younger members are joining the church, especially with many people leaving rural areas for urban ones. That's a problem that's affected rural churches for decades, and is having a major impact now on churches in and near Parker, S.D., Leland Steva reports for KELO-TV in Sioux Falls. "Father Hal Barber leads two Catholic churches in Parker and Marion," Steva reports. "After 40 years, the priest is seeing a decrease in attendance in one of his churches, especially in the younger generation." Barber told Steva, "The population of the Marion church is decreasing as a whole. We only have perhaps maybe nine children, all very young, and so we don't worry about or think about religious education." Coal companies in Appalachia, hit harder by market and regulatory forces than any other region in the U.S., hope to cash in by selling captured mine methane to companies in California, "the only place in the U.S. where there is a limit and a price on carbon," Anya Litvak reports for the Pittsburgh Post-Gazette. "There may be enough coal mine methane in the U.S. to offset 60 million metric tons of carbon dioxide over a 10-year period, according to the California Air Resources Board. At $10 a ton, that's $600 million in new money for coal companies and their project partners." The first project would be at Consol Energy's Enlow Fork mine in Washington County (Wikipedia map), which "would offset 201,000 tons of carbon dioxide," Litvak writes. How it works is that Verdeo, a developer of clean energy projects, would "pay Consol for the use of its ventilated air, destroy the methane in that airstream and sell the credits generated from that to companies in California. Because greenhouse gas emissions contribute to global, not regional, warming, projects anywhere in the U.S. qualify under California's system as long as they are approved by the California Air Resources Board." And there's plenty of methane waiting to be sold. "The air coming out of the Enlow mine is about 0.8 percent methane, but there's 181,000 cubic feet of it being ventilated each minute," Litvak writes. At Consol's McElroy mine in Marshall County, West Virginia (Wikipedia map), "the air is 1.2 percent methane, and 209,000 cubic feet of it is released each minute. Destroying that methane offsets the emissions of a 50 megawatt coal plant each year." The digital age has made it easier for people to get their work done more efficiently. And it's not just people working in offices, or at home, staring all day at a computer. Farmers have taken advantage of technology to make their lives easier "to track weather, map the spreading of fertilizers and seeds, and follow prices for input and services," Becky McKendry reports for the Great Lakes Echo. But broadband service isn't always available in rural areas, and in places like rural Michigan, where broadband is severely lacking, farmers are having a hard time getting connected and keeping up to date with the rest of the tech-savvy world. Hope may be on the way in the form of Connect Michigan, "a public-private partnership with the Public Service Commission that works with counties to create plans to improve Internet services. The plans include actions such as locating federal and state funding and reaching out to community leaders to promote projects for expansion," McKendry writes. Matthew Fluharty, founder of Art of the Rural, a collaborative organization seeking to build the field of rural arts, is expanding the blog into a full website, the Daily Yonder reports. "There was a need for a kind of site that could share a range of media and integrate all those forms seamlessly," Fluharty says. The new site is not only well-organized and aesthetically pleasing but also simple enough to load quickly in rural places where internet speed might be a concern. 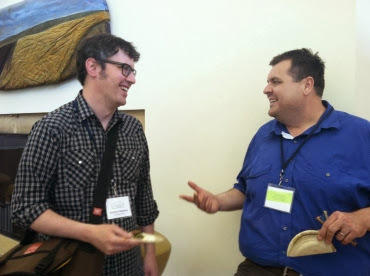 professor Michael Strang at the Rural Arts and Culture Summit this summer. The original blog idea was born in 2008 through Fluharty's reflection upon his grandmother's life after her passing. The Art of the Rural's mission is "to help build the field of the rural arts, tell its stories and contribute to the emerging arts and culture movement across rural America," Fluharty says. He has learned that when it comes to blogging, process is as important as product. Fluharty sees several themes emerging in rural America. "There's a real ethic of resourcefulness and improvisation," especially since the Great Recession. He also recognizes the growth of digital media to help celebrate place and tell stories about dispossession, extraction and inequity. "Put simply: rural culture has never been more accessible to the national consciousness than it is right now. It's an exciting cultural moment," Fluharty says. He is also pleased to see the increased engagement between rural culture and universities and is excited about the increasing multidisciplinary nature of this conversation. "This collaboration across disciplines is essential to the field of rural arts and culture but is equally vital to how, on the ground, we come together to articulate a shared future." As a poet and an essayist, Fluharty values cultural work. "Arts and culture give us the metaphors and the imperative to communicate the value of our place," he says. Art can also help advance issues such as the expansion of broadband in rural areas. Although those in rural areas understand why these concerns are important, people in suburban and urban areas may not. Levy told Nyden: "I grew up during the Cold War and the McCarthy era in a family that encouraged art and believed that the world needed to be changed. By the 1960s, people in our nation were marching in the streets for civil rights at home and for peace in Vietnam. In communities throughout America, people were standing up for their humanity and dignity and struggling for social justice. As an artist, I needed to find a way to have a direct connection to these realities." Levy photographs have appeared in more than 200 exhibitions, including "Images of Appalachian Coalfields," which had "70,000 visitors when it was displayed the West Virginia Culture Center during the spring of 1991," Nyden writes. He also published Life of the Appalachian Coal Miner in 1976, Images of Appalachian Coalfields in 1989, Builder Levy Photographer in 2005 and 25 other books. His work can be viewed on his website. The program grew out of research by Sarah Francis, assistant professor of food science and human nutrition at Iowa State. As she studied nutrition and developed programs "to encourage behavior changes at congregate meal sites, she noticed a recurring theme of older adults enjoying the Wii gaming system to bowl or play tennis," Villanueva-Whitman writes. "At one site, the adults would wait in line because only one person knew how to use it." The Patient Protection and Affordable Care Act brought funding changes and political battles that are threatening rural hospitals in Republican-controlled states that did not expand Medicaid. In rural counties around Nashville, "Administrators have been laying off workers, reducing services and worrying about the future," Tom Wilemon writes for The Tennessean. Some hospitals may even have to close. They are losing millions of dollars in federal funds that wil no longer flow through TennCare, Tennessee's Medicaid program. Henry County Medical Center Chief Executive Tom Gee said 8,000 more people in the rural counties the hospital serves could be covered with expansion of Medicaid. "He described the financial problems exacerbated by political conflicts over the health law as 'the most serious threat to our institution' in the 23 years he has been at the helm," Wilemon writes. The hospital not only lost $1.2 million last year but also had to cut 25 employees in October. "Our future survival is heavily dependent on expansion of Medicaid and signing people up in the health exchange," Gee said. "That's the only place we're going to replace the lost volume and lower reimbursements we're seeing right now." The Tennessee Hospital Association lobbied for Medicaid expansion last spring, but Republican Gov. Bill Haslam refused. "The vast majority of our hospitals that are financially distressed right now are in our rural areas," THA President Craig Becker said. Wilemon reports, "The federal health law reduced reimbursements to Tennessee hospitals by $5.6 billion over the next 10 years. But the state hospital association estimates that Tennessee would receive $6.4 billion in new federal funds during the first 5.5 years of Medicaid expansion." Media groups and transparency activists rallied for years for the establishment of the Iowa Public Information Board, which the Legislature created to provide handle complaints about government officials' obedience to state open-government laws. But the board's Nov. 14 rulings have frustrated some of the activists who originally supported it, Deron Lee writes for Columbia Journalism Review. A few months before the board became law in 2012, Iowa received an "F" in the public-records accessibility category of a study by the Center for Public Integrity, Global Integrity and Public Radio International. "There's a whole sea of frustration in Iowa from citizens trying to get access to information they need," state Sen. Jeff Danielson said in 2011. "Iowans still wonder why officials still say 'no' to them when they ask for documents." Open-government advocates suggested an independent entity to which Iowans could appeal without going to court, as many states have, Lee writes. As soon as the board opened for business this summer, it faced countless complaints from citizens, media groups and government officials. Its executive director, Keith Luchtel, said he anticipated approximately 300 cases every year, but at the current rate, it will receive 543 this year. But the number of cases isn't the biggest problem, Lee writes: "The executive, legislative and judicial branches [of state government] were exempted from IPIB scrutiny . . . The board's powers are limited by dozens more exemptions already written into Iowa's sunshine laws." On Nov. 14, "IPIB dismissed petitions by The Des Moines Register, which asked for a ruling specifying that public-records requesters could not be charged for government workers' overtime pay; The Associated Press, which requested access to fired public workers' arbitration records; and a resident of Sanborn, Iowa, who argued that city officials there had violated the law by keeping a public-meeting notice behind locked doors for much of the legally mandated 24-hour period," Lee reports. Board members said they were following the laws as written. One, Drake University professor Kathleen Richardson, said "One of the things this board is trying to do is look at gaps in the law and make recommendations for what can be changed." UPDATE, Dec. 4: IPIB Chair Bill Monroe, former executive director of the Iowa Newspaper Association, published an "op-ed" in the group's Bulletin.